Sixty-six people were arrested and charged with disorderly conduct during the second day of the Senate Judiciary Committee’s confirmation hearings for Supreme Court nominee Brett Kavanaugh on Wednesday, Capitol Police reported. Protesters stood in the hearing room and shouted at senators and the nominee during the nearly 12-hour hearing. Disruptions by the protesters were frequent, but senators pressed on with their questioning. Protesters yelled about disability rights, abortion rights and shouted at lawmakers urging them to end the hearing. “What a bunch of dumbbells,” Sen. Orrin Hatch, R-Utah, said in reaction to one commotion. An additional six people were removed by Capitol Police from the fourth floor of the Russell Senate Office Building. They were participating in “unlawful demonstration activities,” according to department spokeswoman Eva Malecki. They were charged with crowding, obstructing, or incommoding. Capitol Police reported another arrest in the atrium of the Hart Senate Office Building. That individual was charged with crowding, obstructing or incommoding in addition to resisting arrest. Protesters are have also taken to the Capitol grounds. 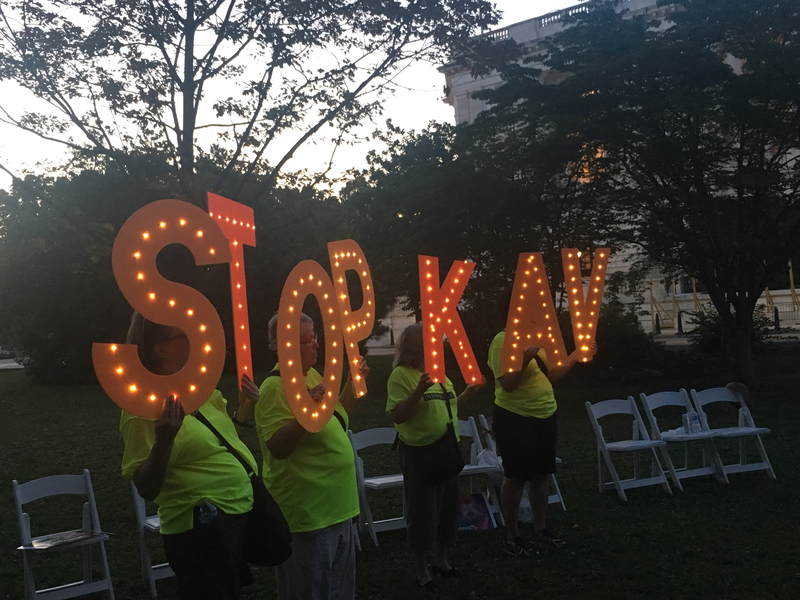 There were demonstrations on the East Front of the Capitol on Tuesday and Wednesday nights with speakers and anti-Kavanaugh signs and chants. Capitol Police said the group is permitted to hold similar events each night that there is a hearing on the Supreme Court nomination. Capitol Police said 70 people were arrested on the first day of the Kavanaugh hearing on Tuesday. Demonstrations and civil disobedience are expected to continue when the hearings resume Thursday.